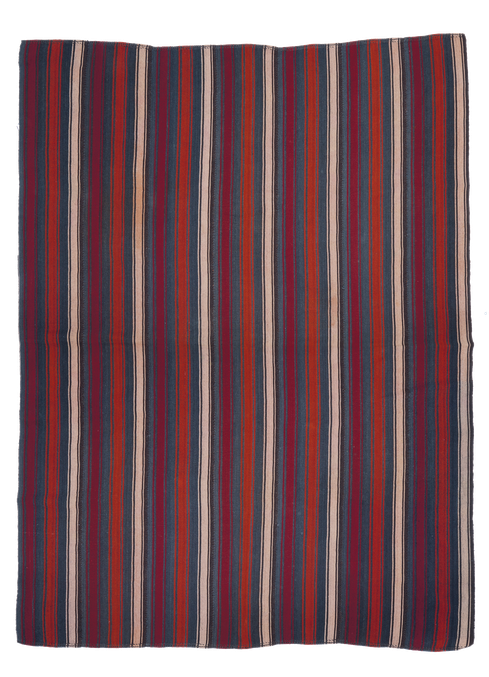 This is a traditional slit-weave kilim, made of bands thoroughly sewn together, woven by the Kurdish nomads. 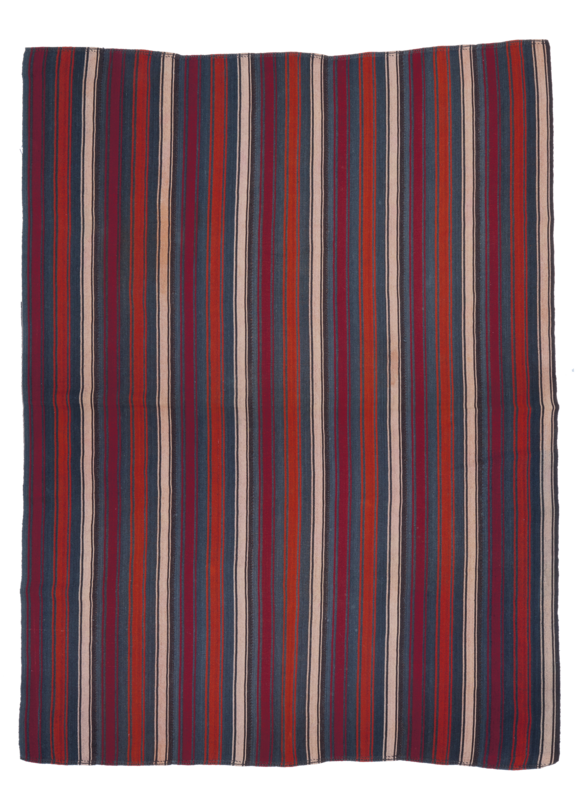 These pieces were used to cover materials in the tent or while traveling for transhumance. Vegetal dyes and in very good condition.